Left - Stencilled walls in Sudeley Castle, Winchcombe Glos. Middle - hand painted rugs / canvas. Right - I painted ontop of black beams to make them look like old oak again, woodgraining. DEcorated puppet theatre, trompe l'oeil and Grisaille effects with small canvas backdrops. Top Right - Woodgrained panel giving the effect of marquetry. Bottom Left - Trompe l'oeil bookcase. 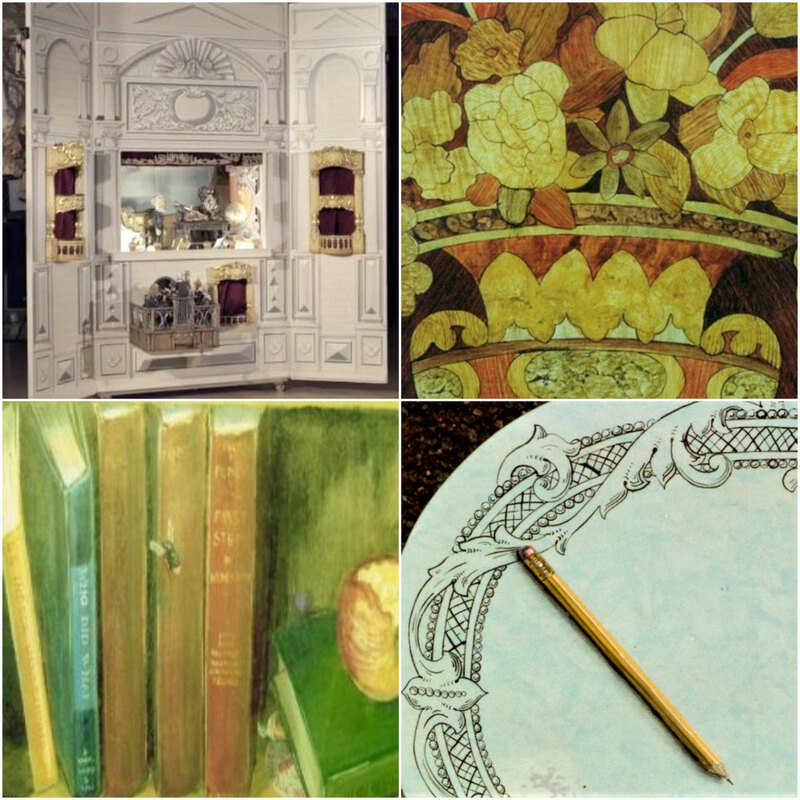 Bottom Right - painted table with painted pencil, Trompe l'eoil. I chose to paint a plain ordinary pencil to make it look more realistic.